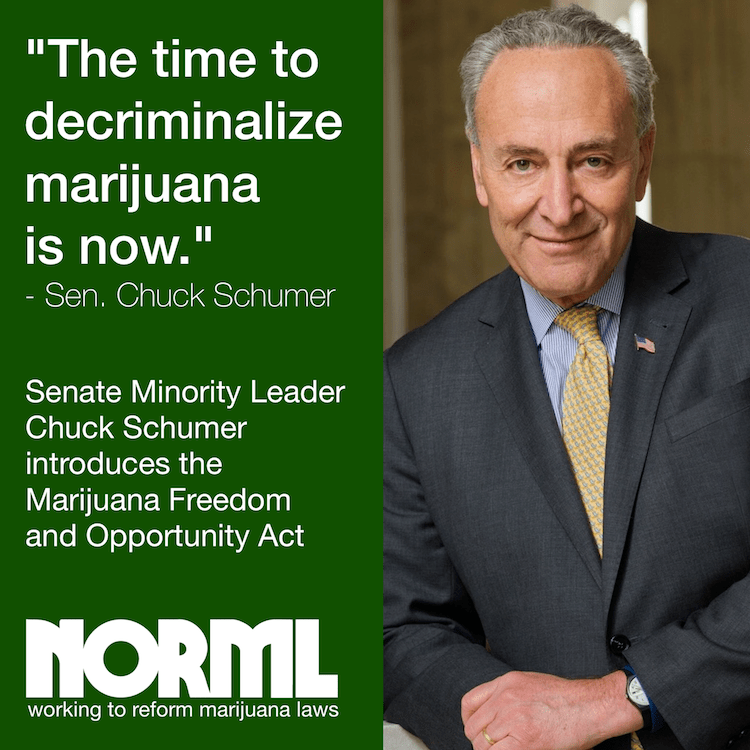 Senate Minority Leader Chuck Schumer, along with Senators Bernie Sanders, Tim Kaine, and Tammy Duckworth, just introduced legislation, the Marijuana Freedom and Opportunity Act, to remove marijuana from the Controlled Substances Act and to provide funding for the expungement of criminal records for those with past marijuana convictions. Passage of descheduling legislation is necessary to resolve the existing and ever-growing state/federal divide over marijuana policy. Thirty-one states regulate medical marijuana use and nine states regulate the plant’s use, production, and sale for all adults. Sixty-eight percent of registered voters “support the legalization of marijuana,” and 73% support expunging the records of those previously convicted of marijuana-related offenses. according to national polling data compiled by the Center for American Progress. Click here to send a message to your Senators and encourage their support for the Marijuana Freedom and Opportunity Act.